We had the pleasure of hosting Rabbi Dr. Zev Eleff as part of our Kohelet Beit Midrash Scholar Series last Shabbat (next up: Marc Shapiro, Jeffery Woolf, Lord Rabbi Jonathan Sacks, Malka Simkovich, Shani Taragin and Malka Binah...). Dr. Eleff's keynote address following davening Shabbat morning explored the "Gedolim culture" of the post-war American Orthodox community and its seeming rejection by the Modern Orthodox world. He traced a trajectory from a "communal" form of "da'as Torah" in the 60s and 70s to a more individualized concept that took root in the 80s and is prevelant today. In discussing the roots of this phenomenon one attendee noted the contemporary influence of the Chasidic world in bodies such as the Aggudah and the Moetzes HaRabbanim and hence the adoption by the yeshiva world of a concept more closely akin to the Chasidic model of a Tzaddik / Rebbe. After Shabbat, I learned that my contributor copies of the new book from Maggid Press and the Straus Center at Yeshiva University had arrived that same day. 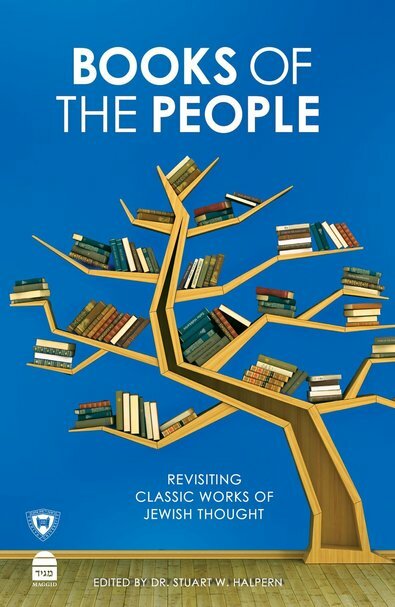 Entitled Books of the People: Revisiting Classic Works of Jewish Thought, it contains essays by different authors intended to aquaint readers with influential staples of the classic Jewish library. The following small excerpt from my essay in that volume on the Netziv's Ha'amek Davar ("Delving into the Matter: Rabbi Naftali Tzvi Yehuda Berlin’s Haamek Davar as a Work of Jewish Thought") suggests that there might be room to question some of our prevailing assumptions about the "Gedolim culture." More specifically, from the writing of the Neztiv notions of consulting a "gadol" for "da'as Torah" seem to be alive and well long before the rise of the American Orthodox community and in a world that prided itself on being distinctly non-chasidic. In fact, from the Netziv's cautionary passages it seems clear that the potential pitfalls that can arise from taking such ideas to their extreme were well known in the mid-19th century as well. That is not to say that there isn't something new about the contemporary American phenomenon, but rather that the antecedents may be stronger and more widespread than is often assumed. The capacities, privileges, and responsibilities of the “adam gadol” are another common theme in Haamek Davar. 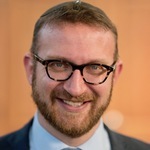 Terms which others have interpreted as references to the people as a whole, the Netziv, in his quest to demonstrate the omnisignificance of the Torah text, interprets as references to the people’s religious and intellectual elite. Hence “Benei Yisrael” when contrasted with “Beit Yaakov” means “people of extraordinary minds” and excludes the “masses.” Similarly the word “eida” at times means not the congregation as a whole, but its leadership and the word “adam” doesn’t mean people, but extraordinary people. This select cadre of “gedolei ha-dor” exists on an elevated spiritual plane which allows them to live with fewer physical needs than the common folk and to more readily influence God. For this reason, commoners often seek out God’s “beloved” in times of trouble and ask that they pray on their behalf. The religious elite enjoy a certain intellectual prowess as well, which is reflected in the practice of setting out a fifth cup of wine at the Seder but not requiring that it be drunk. This optional cup, according to Haamek Davar, represents the fifth stage of redemption, which is (Ex. 6:7) “and you shall know God.” The reason this cup doesn’t have the same mandated status as the first four is because this stage of redemption – true knowledge of God – is attainable only by a special few. For the common folk, it remains out of reach. Along with the benefits of membership in this leadership class comes a set of heightened expectations and responsibilities. So, for example, the prohibition against eating the sciatic nerve, according to Haamek Davar, is intended to remind future generations of Jacob’s failure to live up to his own elevated standards of conduct when he continued to wrestle with the angel even though the battle had already been won. And, when Moses coronates Joshua as his successor he does so in front of Elazar the High Priest and the people. On the one hand this is intended to demonstrate Joshua’s newly acquired authority, but the language of the text, according to the Netziv, indicates that the very purpose of his leadership position is to serve the needs of those before whom he is standing. To the Netziv, then, servant leadership becomes the paradigm for all future Jewish leaders. Saddling the religious elite with additional expectations, though, is not enough to ensure their proper conduct. The Netziv sees God as acutely aware of the danger that singling out such people for exalted status seems to bear. Therefore he explains that the Torah on several occasions issues warnings to Jewish leaders admonishing them not to allow their power to go to their head and not to allow their positions to separate them from the people. HD Ex. 19:3; HD Lev. 22:18. HD Num. 20:5. It is worth considering whether the Netziv’s consistent usage of the terms “gedolei yisrael” and “gedolei ha-dor” to describe the class of religious elite played a role in forming the “gadol” culture which blossomed in the Yeshiva communities of the 20th century. HD Deut. 29:9, 12; Lev. 21:6.